Following a regular Monday night rehearsal, Cantilon Choirs founder and Artistic Director Heather Johnson agreed to discuss with me the choral season and Belle Canto’s upcoming participation in Choral Canada’s Podium 2012 Choral conference this week in Ottawa. Johnson is casually balanced on the piano bench at the front of the rehearsal hall. I acknowledge the interesting role-reversal about to occur as I organize myself to conduct the interview. As a choir girl, I have been singing with Johnson for over 10 years. You can probably imagine the influence this woman has had on my formative choral years. Upon further reflection, Johnson announces that she is fortunate that her job allows her to work with people for an extended period. The structure of the Cantilon program is conducive to chorister development since singers as young as kindergarteners can naturally graduate to more advanced groups within the program, such as the Cantilon Chamber Choir and Belle Canto Women’s Ensemble. Johnson pauses at this point in the interview and smiles at me: “I remember you as a child, I really remember you." I give her an acknowledging glance as I look up from my iPad. Johnson remarks that working with people over an extended period of time, from children to adulthood, is an incredible privilege. "I can help [young choristers] shape the way they look of the world. And for me, that’s why I do this." 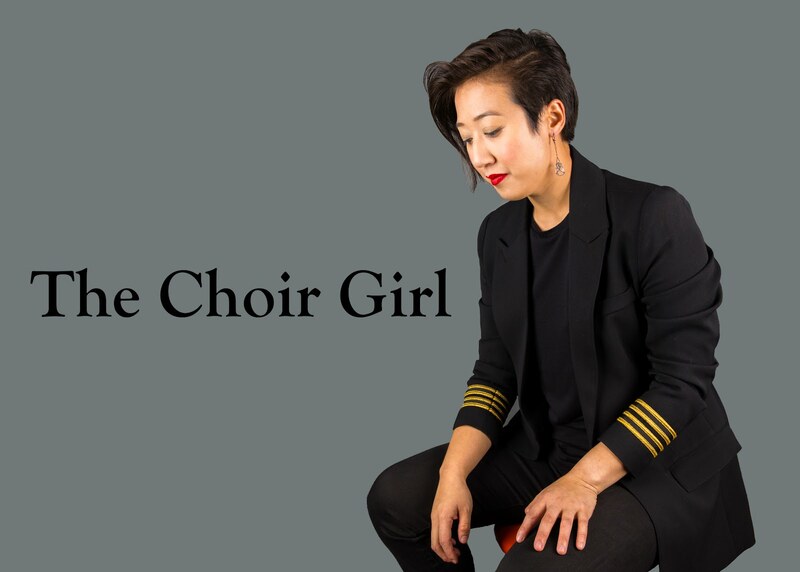 Johnson recognizes that the choral experience for her youth choristers is not just another mere extra-curricular activity: “There are a lot of things that families have difficulty teaching children now. Society has gotten so fast-paced, and kids are often involved in so many activities that it’s hard to find the time to slow down and focus. They have an experience with the choir that they don’t get anywhere else.” When you are completely immersed in your passion, there is lost sense of time. The curious choir girl in me inquires what Johnson considers characteristics of her ideal chorister. “They challenge me and explore new things. I tend to attract singers who not only need the choir musically in their lives but for something else… I let them take challenges and risks that are safe. ” I smiled. That was different from I was expecting. While discussing what makes community choirs unique in comparison to other choral groups, Johnson announces that the choral social experience “is the most important part of being in an amateur choir… choirs don’t sing well together unless they’re cohesive social units. There’s something different about a group of singers who have sung together for a long time on stage that’s impossible to quantify. They have a connection to each other that translates to the connection they have to music.” This is why I continue to sing in Belle Canto. Johnson reveals that Belle Canto’s Podium performance will provide a full-bodied European sound palette for conference attendees to experience. As well, Johnson commissioned Canadian composer Jeff Enns to compose a piece for Belle Canto to premiere at Podium 2012. “I heard his work being sung by the Canadian Chamber Choir [last summer]. He was truly writing for the full range of the female voice. I wanted a sacred work and selected text from the Song of Solomon… it suits female choirs beautifully.” Other repertoire choices for Belle Canto’s Thursday Podium will include works by Schumann, Bartók, Barber, and Mäntyjärvi. “We have a much more flexible sound that can sing these different styles. We sing with a unique attention to rhythmic precision that is not always true of women’s choirs and we like to have fun." Indeed, speaking from my personal choir girl experience within Belle Canto, our tendency to enjoy ourselves is not overlooked, especially when we are on tour. As the Cantilon Choral program prepares for its 2012/2013 with Johnson at the helm of the organization, Belle Canto’s Thursday performance with Johnson at Podium 2012 will hopefully signify her continued presence with the organization for many more years to come. HEATHER JOHNSON IS A BRILLIANT, WORLD CLASS CHORAL DIRECTOR WHO DESERVES TO BE HONOURED FORMALLY BY OUR CANADIAN CULTURAL COMMUNITY AS WELL AS OUR PROVINCIAL AND FEDERAL GOVERNMENTS. HER POSITIVE IMPACT ON YOUNG CANADIANS AND THEIR MATURATION GOES BEYOND LEARNING TO SING IN COMPANY. THERE IIS NO MORE POWERFUL WAY TO BUILD A COMMUNITY THAN TO FOSTER A LOVE OF THE ARTS IN OUR YOUTH. HEATHER JOHNSON IS A POWERFUL LEADER IN ACCOMPLISHING JUST THAT.